Sebastian Vettel says he is his own “biggest enemy” in this year’s title fight as he arrives in Singapore trailing Lewis Hamilton in the standings. Although Ferrari have arguably the best car on this year’s grid, Vettel and the Scuderia are playing catch up in the championship. The German trails Hamilton by 30 points having dropped points in three of the last four races. Vettel crashed out of the lead in Germany, failed to challenge Hamilton in a wet qualifying in Hungary and then hit his title rival on the opening lap at Monza. While Vettel paid the price for that, spinning and falling to the back of the field, Hamilton claimed his third win in four races. “It’s pretty straightforward for me. I think the biggest enemy is me,” Vettel told Sky Sports said when asked if he felt he could afford to drop more points to Hamilton. 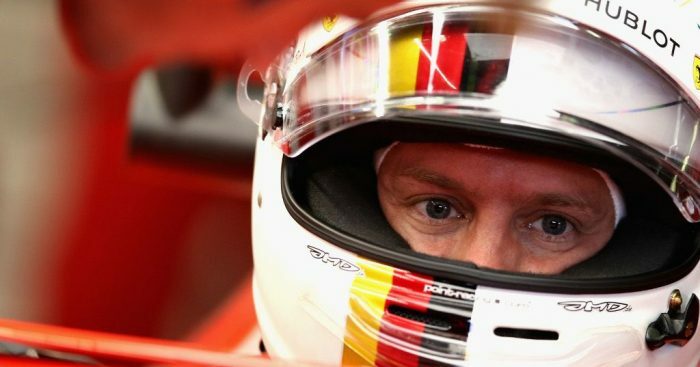 “We have a great car, if I have something to play with then I think we have all the chances to do it in our way. “Obviously he’s the leader at the moment, he’s ahead, so he’s the one to beat. “But we have all the chances and how much they could be better by now and so on, that’s a different question, but we still have a very good chance and, as I said, we will be our first enemy and not him as a person or them as a team.